A new issue of the magazine comes out at the beginning of every month. As a subscriber, you receive each month's issue via email between the 1st and the 5th of each month, after your payment clears the previous week (our billing day is the 27th). As a subscriber, you also receive a bonus printable reference sheet with your copy of the magazine each month! Both the magazine and the printable reference sheet are formatted so that you can easily print them out at home if you'd like. If you were to purchase each magazine and reference sheet in our shop, you would pay $12.99+ each month. As a subscriber, you pay a reduced rate of $8.99 each month and you receive both the magazine issue and the bonus printable reference sheet! That's aLMOST A 35% savings! When you sign up to be a magazine subscriber, you will be billed $8.99 USD at checkout (*unless you are signing up on the 27th of the month - see note below). After that, the system will automatically bill you on the 27th of each month. Your magazine issue and bonus reference sheet are sent out via email between the 1st and the 5th of each month after your payment has cleared. Please make sure you confirm your email address immediately after signing up to ensure successful delivery of the magazine issues to your email inbox (do this through the email we send you after you check out). *Please Note: If you subscribe to the magazine on the 27th of any given month (our billing day), you will be billed $17.98 for your first transaction. This is because you are paying for two issues at once on that particular day. You will receive the current issue of the magazine right after checkout and then will receive the next issue of the magazine via email by the 5th with the rest of the subscribers. Can I have a physical copy of the magazine sent to me in the mail? Because our magazine is entirely digital (it's friendlier for our pretty planet that way), we do not offer printed copies of the magazine. However, each issue of the magazine is formatted so that you can easily print out a copy at home if you'd prefer to read from a hard copy. I just subscribed, but I didn't get my magazine yet. Help! I'm a subscriber, but my issue hasn't arrived yet this month and I have to have it! If it's past the 5th of the month and you still haven't seen the email containing that month's magazine in your inbox, chances are that one of two things has happened: our email was mis-delivered to your spam folder or, if you're a Gmail user, it was filtered to your "Promotions" tab. If you still can't find the email containing that month's issue of the magazine, send us an email through our Contact form and we'll make sure to send it to you again right away. 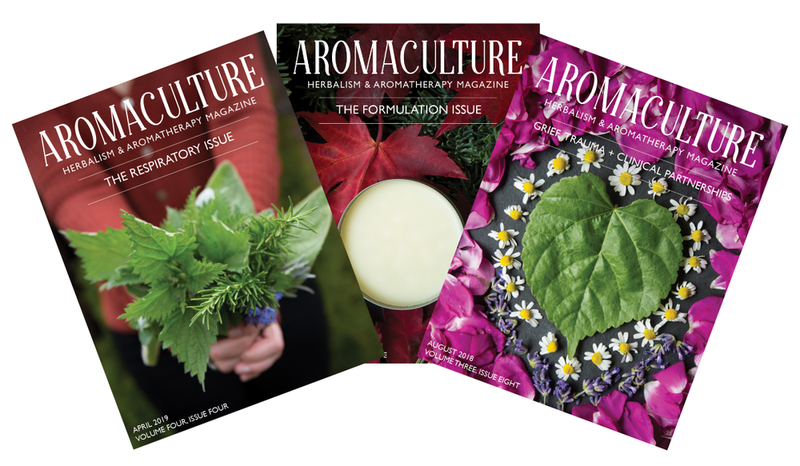 Become a subscriber and start growing your knowledge about herbalism and aromatherapy today!